Pleasing others and always saying ‘yes’ is a habit that leaves us feeling resentful towards ourselves and others as well as over-burdened and emotionally cluttered. 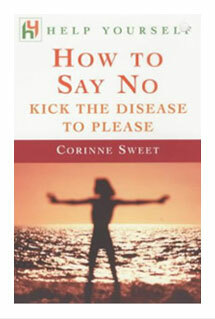 If you find it hard to say ‘no’ or articulate what you really want to say, this book is for you. It explains, with case examples, why women especially, feel obliged to make others happy, and describes how to overcome this by getting rid of guilt, being more assertive and restoring balance and autonomy. Say ‘no’ to others to say ‘yes’ to you.